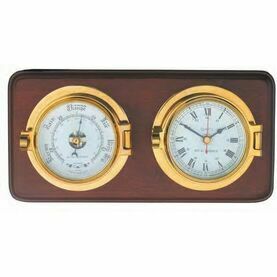 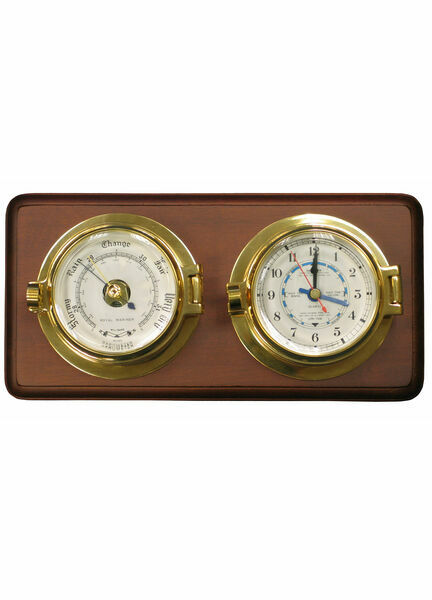 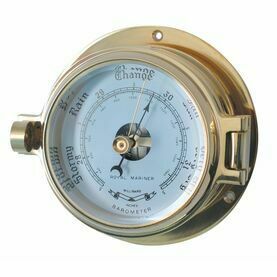 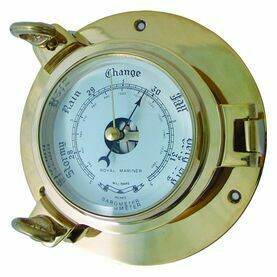 Individually crafted from solid unlacquered brass and beveled glass, the Channel Tide Clock and Barometer from Meridian Zero’s range of instruments has been mounted on its own wooden displayer board. 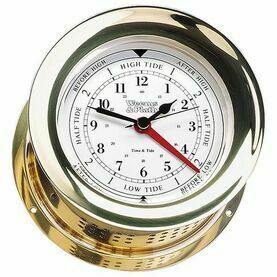 These matt chrome instruments are made by anodising chrome on to brass instruments, not steel. 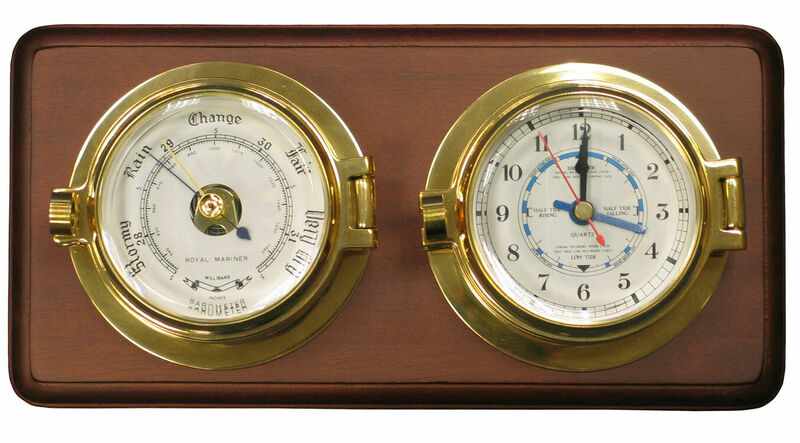 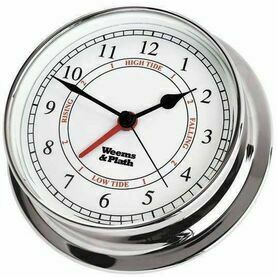 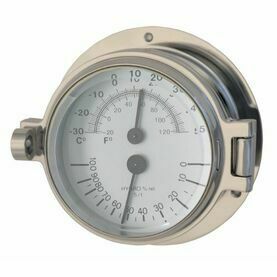 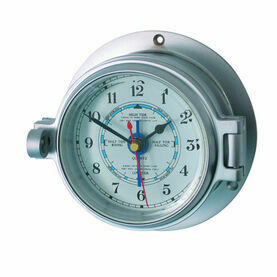 The clocks have a quartz movement and the barometers have a sealed unit with an adjustment mechanism. 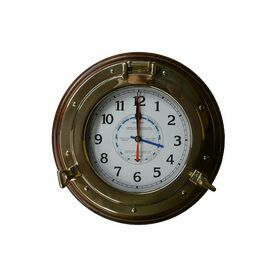 Tide Clocks feature an additional hand which records lunar time over a 24 hour and 50 minute period which approximates to the cycle of high and low tides. 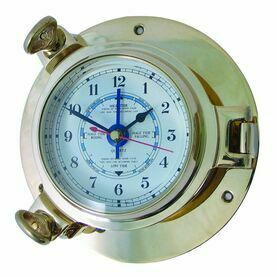 Meridian Zero Brass Porthole Wood Mounted Tide Clock - 14"